Yzt Series is one of the important equipment of ironing equipment, it has two remove stains gun: a steam gun, a hot air gun and exhaust system. There are two types of YZT series: A - YZT type, with the removal of the gun; B - YZT type, without the removal of the gun, it have not steam function. 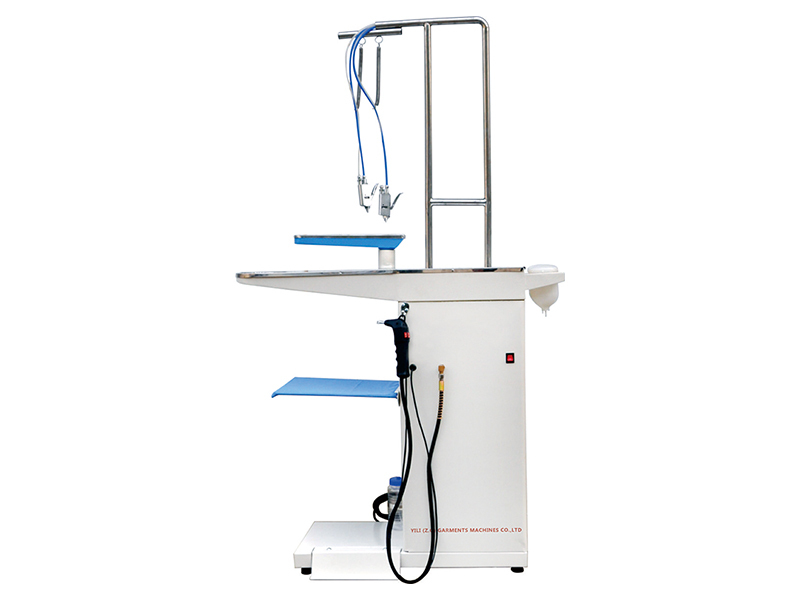 Fabric remove stain machine is clever ，fast, convenient, non-destructive material etc., in high-grade garments, has widely used in the dry cleaning industry. With two solvent containers, can be equipped with different detergent, Movable of the arm, easy to operate.